Live-edge hardwood, in which the sides of the slab are left unmilled so that the natural profile of the tree trunk is retained, is an increasingly popular decorative trend in today’s residential interiors. 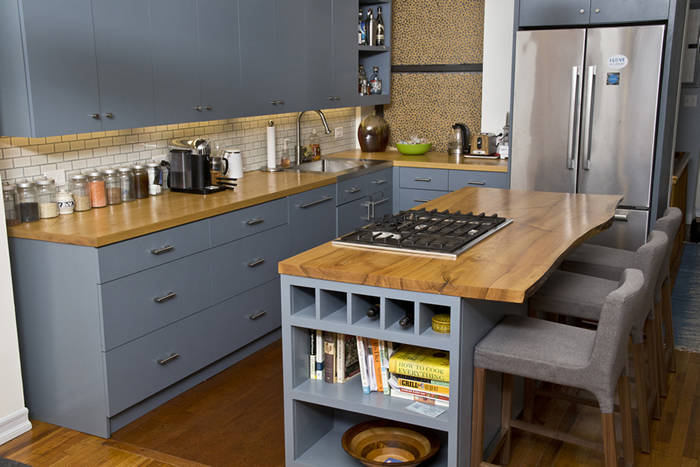 The technique is not only used for pieces of stand-alone furniture such as tables and benches but also for built-in elements like shelving, mantles, counter tops, bars, and kitchen islands. “Most mills cut off the rough tree edges turning the raw timber into neat boards,” says Linda Jovanovich, of the American Hardwood Information Center. “But the current demand for live-edge slabs has led to a small but vigorous subset of producers who specialize in the category.” These are often boutique businesses that source, dry, and mill limited batches of timber for use in furniture of their own design and manufacture. Sustainability-minded entrepreneurs are responsible for another niche in the live-edge hardwood market: Small urban suppliers that source culled or fallen trees from the backyards of private homes, public parks, graveyards, and other leafy locations in their city and its immediate environs. One such enterprise, RE-CO BRKLYN in Brooklyn, New York, recently harvested four 12,000-pound logs from a 150-year-old storm-felled elm in nearby Prospect Park. 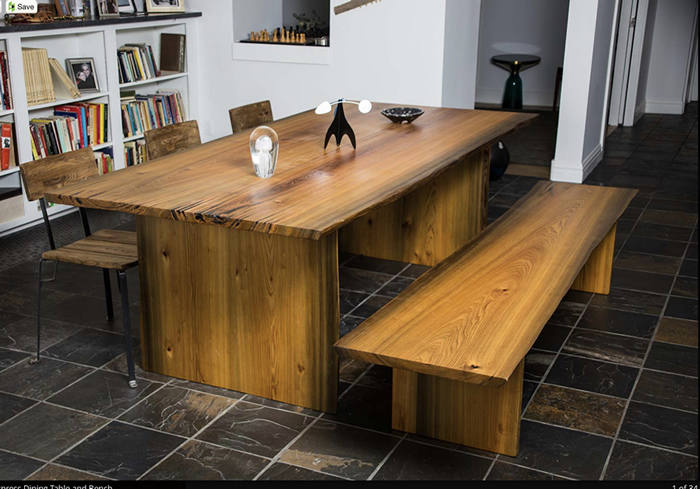 The logs were taken to an upstate mill to be sawn into live-edge slabs and dried before being shipped back to Brooklyn, where they were either sold or used by RE-CO for tables, desks, bar counters, shelves, headboards, and other beautiful custom-made pieces it produces.